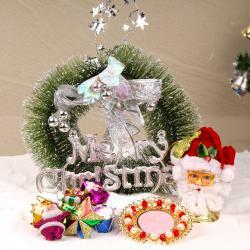 Product Consist : Artificial Christmas Wreath along with Pack of Christmas tree Decoratives Ornaments and Santa Claus Face with a Candle. Make your dear ones day all the more special and memorable with a gift that they will love to receive on this Christmas. 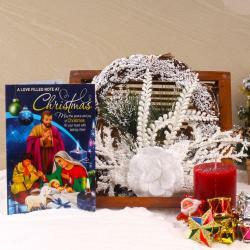 Giftacrossindia comes with lovely hamper to accentuate your home interiors this Christmas. You will get the very attractive wreath which helps you to give warm welcome to your guest on entrance. 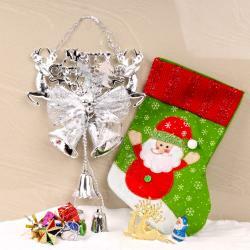 This hamper also includes and cute face of Santa Claus with pack of Christmas tree decorative ornaments which are useful for indoor decor too. We cannot imagine Xmas without candle; here we give you a round pillars candle which long lasting burn wax. 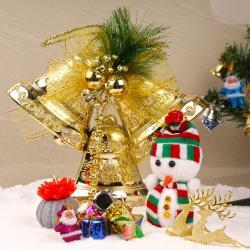 This gift hamper not just only use for home decors but also you can send as Christmas gift to your friends and family. 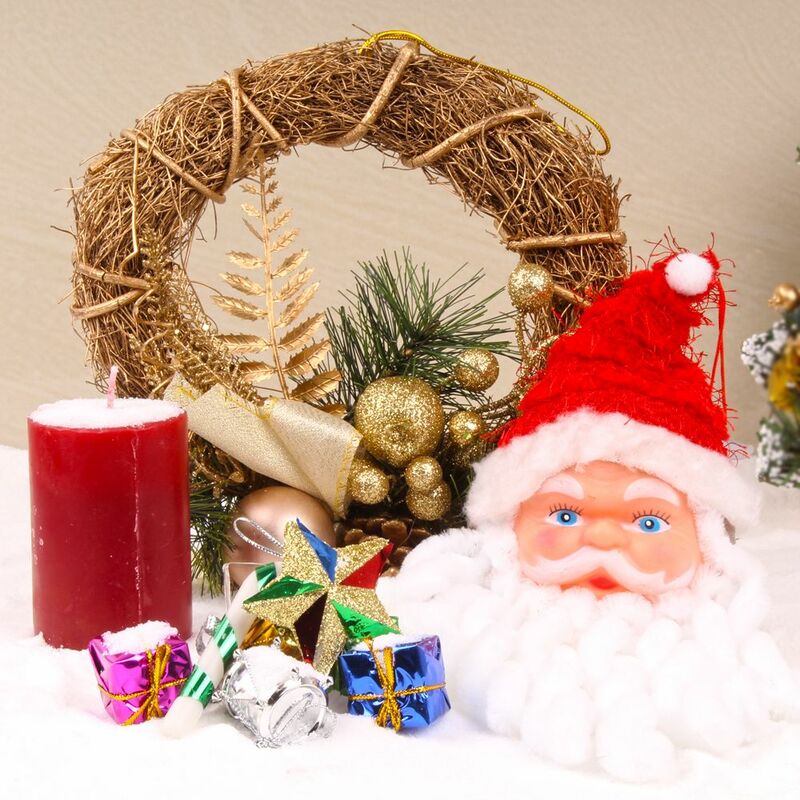 Product Consists : Artificial Christmas Wreath along with Pack of Christmas tree Decoratives Ornaments and Santa Claus Face with a Candle.